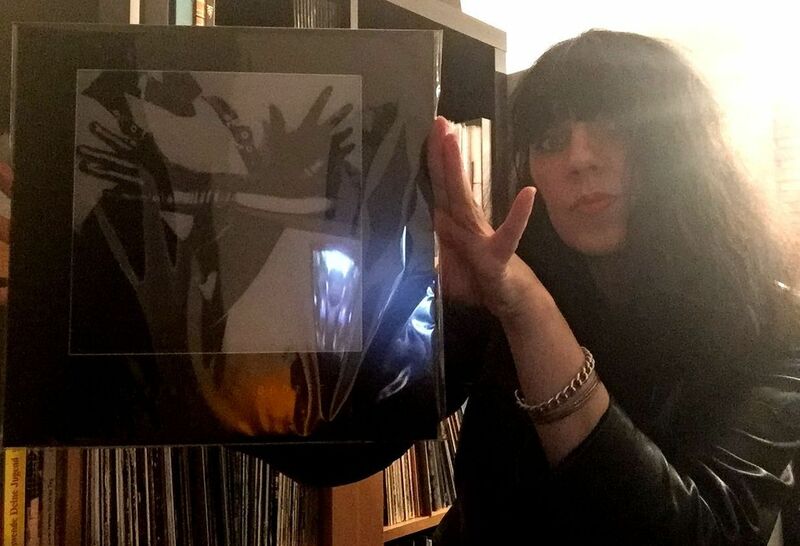 With a dark sound that takes synth music into orphic dimensions, Beta Evers has been making and releasing music since the 90s. 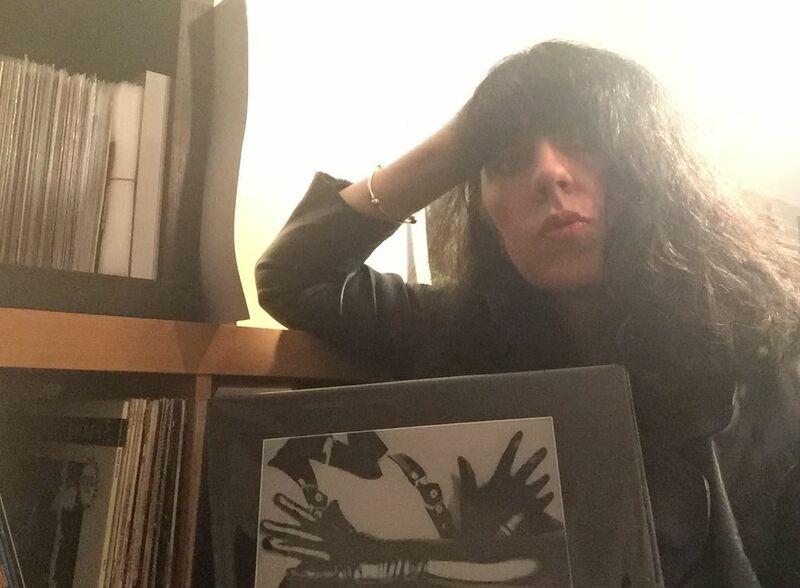 Her message captures the essence of the forgotten realms of early underground synth wave, and explores themes of existential angst, sensuality and subversiveness that have all but been swallowed up by commercial pop music. She’s released her own and other artists’ music on her labels which include Kommando 6, BodyVolt, and Venus Noir (a label devoted to female artists), and other record labels over the years, as a solo project in addition to various collaborations. You may have heard her voice in a dance club over some dark beat because her music is so easy to fit the mood and mix into genres ranging from techno, electro, experimental electronic and even rock music. But, her work transcends every genre it examines, and tells a unique multi-layered story. 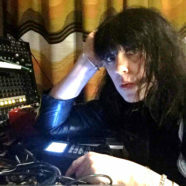 Femmecult is happy to present an interview with artist and composer, Beta Evers (Brigitte Enzler). What are your current musical projects and record labels that you are actively involved with these days? After releasing 2 1/2 EPs with solo works within the last 12 months, I am now in a phase where I will let my solo activities rest for a longer time. 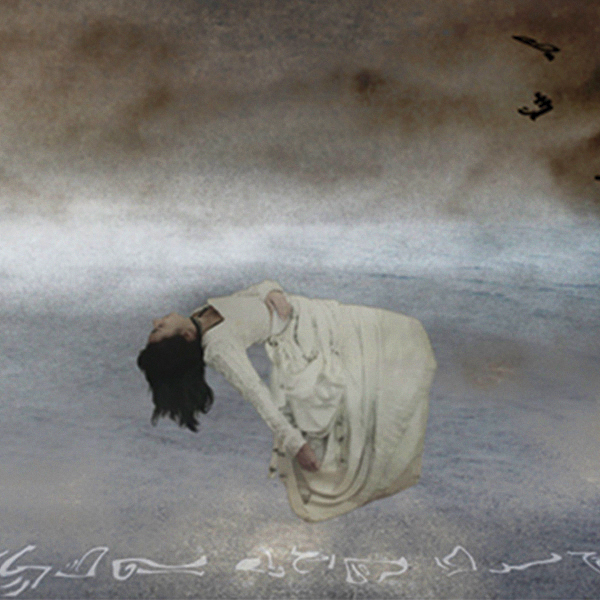 Currently I am working on a collaborative project with Alek Stark and another one with Heinrich Mueller. Besides I am involved in the sporadic long time project Radikale Analog Fraktion. At this moment we just play and test ideas without having any concrete release plans. How do you divide your time between running record labels and composing music? The record label is not that demanding because I release only 1 record per year. There are maybe 8 very active weeks a year where I need to focus on the latest release and the distribution, the rest of the year I can focus on composing music. What are some types of electronic gear that you rely on in your work? I use analog and virtual synths. Virtual ones are great for sound effects. Once in a while I sell one of my analog synths to get another one; mostly I buy 2nd hand. Since ever my whole production is happening in my home, where my studio space basically consists of 2 bigger tables, so I need to keep it compact. What is your favorite synthesizer? I have a weakness for Moogs. I bought a new Sub last year. It was really special to me as I usually look for affordable synths from the second-hand market. What are some themes that inform your lyrical content? Do you find yourself going back to certain themes? I avoid concrete personal stories, romance and politics in my lyrics. Instead I like to write about things passing my mind: repeating feelings, dreams that I had by night, fears and neurosis, loose associations, daydreams, existential thoughts, etcetera. What are some song production techniques that you’ve developed over time, that you still keep close? My techniques change. Sometimes it starts with a sound and I build a track based on a single sound that I like, sometimes I start with a beat, sometimes I have a melody on mind. It rarely starts with the lyrics. In general I am not working very technical. Technics are just my tools, I am not obsessed with technical details and possibilities like some other musicians I know. I think I have a very basic and pragmatic approach to studio equipment; main things I need are a sequencer and something I can create the sounds with that I need. Has the arrangement process of creating a song come easily to you? Do you have some influences that have assisted you along the way with honing in your own style? Sometimes it is very easy and I can finish a song within 1-2 days, sometimes it takes me many weeks to finish an arrangement. I work intuitively and not very structured. Influence is always present, I think mostly it comes from other music that I listen to at the time, but also stuff I listened in the past. Since I can remember I listen to music many hours every day. When I was in primary school and come home to do my homework, I had a tape recorder on the table and played music that I had recorded from the radio. Listening to music was always essential to me. It is my main mental source of energy. How has the German electronic music scene evolved from when you began as compared to now? Looking back to 2000, when I started with what I am doing now (electronic music/label), I have the feeling that the German scene is very concentrated on and in Berlin. Compared to my teenage time in the 80s, other cities seem not very present, although I know there are some other cities that have active subcultural scenes. I like Berlin and it is nice to have a capital where there is lots of things going on, but I wish for more “hot spots” in other cities. I always tried to create and offer something in my hometown, but many many people moved to Berlin over the years. Basically the German electronic music scene was and still is very supportive, even today where so many people consume new releases for free via Youtube videos and never pay an Euro on Bandcamp and such. It is great to work in a country with such a culture and love for electronic music. What future goals do you have as an artist and label owner for the next several years? The label I want to keep up as long as I can, but I don’t plan more than 1 record a year. The underground scene I feel related with, is small and since I don’t have a distributor who helps me to get the records out to the world, I need to keep things within reasonable bounds. I sell mostly directly to private buyers, so it takes a while to sell 200-300 copies. How does fashion or physical aesthetic and philosophy influence your work, if at all? I think influences are always present, but more or less subtle. I am influenced by a melting pot of many things from art, philosophy, sociology, psychology, history, politics, movies, photography and fashion from past to presence. Basically I am rarely attracted by popular things and themes. I like to dig below the surface, in dark corners, in hidden areas. What do you struggle with as an artist? What comes easy? Easy is the actual doing. I enjoy to do what I do, otherwise I would not do it. I never did it because I hoped to get famous or big cash flowing. I have that inner need to create something, to build something. I feel great in the “underground”, I never took efforts to work upwards. So, I am not struggling to reach something (success, money), I just enjoy doing what I do. I struggle with the modern way of consuming music, social media and the way music gets presented or downloaded (youtube etc). There are people who tell me straight away that they don’t see it necessary to pay for my music on Bandcamp, while they can get it free on youtube. So, one track is not even worth 1 dollar to them, but they want to listen to it repeatedly. Besides, with platforms like youtube music has become so swappable like never before. “Click here, click there, next track, more files on your harddisk, next one please”. I don’t like that zero-support-but-consume attitude. I also struggle with social media, because it is too much about consuming and numbers: “congrats, 1000 likes, or, bravo for making 5000 followers, or Congrats, your video has 1000 views, keep it up!” I rather have 100 people around who really really like what I do and support me by buying one of my records, than putting efforts in gaining more followers somewhere. I never put much efforts into promotion. I inform, because people who like my music want to get updates and I want to tell them about a new release or things like that, but basically I let the people find my music without pushing them or reminding them everyday that I exist (posting selfies or whatever daily). As for me they could delete all the counting on social media, so we could all focus on the actual contents instead of counting numbers. Where do you find the motivation to keep up a steady output of work? The motivation comes and goes, sometimes out of the nowhere. Sometimes I cannot motivate myself for some months, sometimes I can’t stop working on new tracks for many weeks, all day long. I haven’t found a way to control it, so I just let it happen. And I accept it, when I don’t feel motivated. I rarely force myself then to get into a creative mode, but wait until the motivation comes back on its own. What’s been the hardest thing about running record labels? ..the most rewarding? The hardest part is the distribution. Always was difficult, since 2002. I would love to see some copies in every country, but without a good distributor it is impossible. I know there are people out there who would buy the releases of my label if it would be better distributed, because they don’t like to order records from small labels directly; it means lots of costs for postage. I only have a few retailers in Germany, France and Belgium and no oversea connections (USA, Canada, Australia, etc). The other parts of the label work (finding good music, creating a release including artwork, promoting it) I always liked. I think the main reason is that I enjoy to creating new stuff, instead of reproduce existing stuff. Another reason: I don’t really enjoy to be a solo act, I miss the dynamics of a band on stage. I have to play some of the instruments via backing tracks, as I cannot handle all instruments live and alone on stage. Currently I think about to go live with one of my collaborative projects in the near future instead of playing solo sets anymore. What are some artists and musical projects that you have worked with in the past? Black Spider Clan with Dystronic from Kommando 6 is my oldest side project. Then I worked with Heinrich Mueller, S. Correia and P. Martin for about 5 years on the Zwischenwelt project. The most recent one was Black Pond with Jeff Gallea from Eleven Pond, USA. What are some of the most challenging aspects of being in a collaborative musical group? The challenging is not the different approach of production, or different technics or equipment, but it is the remote production that is often necessary. With Zwischenwelt there were a few real time sessions, but with Black Pond it was not possible, as I did not travel to US and Jeff Gallea not to Germany. The file exchange became a bit tiresome after a while. I have 2 more collaborative projects lined up where remote production is necessary, once these are finished I will not continue this way to work anymore. Real time production in a studio together provides more motivation, direct dynamics and exchange. Do you prefer working on music with others or alone? I like both and so I am very glad to have (had) wonderful collaboration partners. Usually, after working 1-2 years alone, I really need the collaboration work again. And after finishing a collaborative project, I usually need some time for solo production again. What wisdom have you distilled from all these years of experience (in life and music) ? Trust your instincts! I always followed my instincts and what I believed in. I don’t listen much to what others expect or want me to do. What advice to do you have for some who wish to follow a similar path of running record labels and making music? Be authentic, create your own style! Don’t listen to people telling you what you should do or not. You have to do it your own way, find your own way. And: less is more; it is not about quantity but quality and realness.